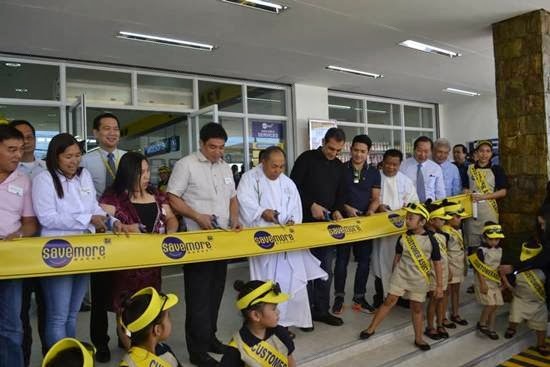 Just in time for the happy day of hearts, Savemore Market Gensan opens three days before Valentine's. 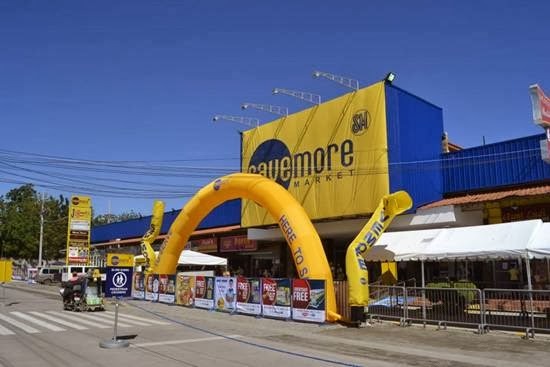 Finally here to serve Gensan, Savemore Market chose a perfect location to reach as many shoppers as they can and let them experience just what Savemore's love for service is all about. Savemore Market offers quick and convenient shopping, complete basic merchandise, and a wide array of services chopping off a big chunk of time spent on weekly tasks and adding more opportunities to spend time with the people that matter most. From rice, cooking oil, and condiments to fresh meats, produce, and seafood, Savemore Market can fulfill any typical cookbook's requirements in preparing a very special dinner for your lovely dovey. Savemore also offers SM Bonus items which gives great value and weaving more funding for dates. Plus! Various promos and discounts like Buy One Get One, SWIPE, Valuepack, and Yellow Tag makes shopping a lot more exciting and rewarding. The friendly staff and crew practice food safety and are equipped with hygienic gear every time they carry out free services like coconut grating, seafood cleaning, meat and poultry deboning, and fruit carving. Services like bills payment, Western Union money transfer, and a Watsons pharmacy also adds to Savemore's credentials as an excellent one-stop-shop destination. You can also find quick bites and yummy delights from Savemore's tenants Master Siomai, Takuyaki, Waffle Time, Buko Juan, and Porky Best. Soon to open are Memo Express and Mary Pauline Salon. And to make things a little bit more exciting, Savemore Market gives extra 20 SM Advantage points for items sold by the case from the Food Service Center. Savemore also makes your trip a little bit sweeter with tasty Turon with Langka, a free scoop of Nestle Speculoos ice cream for a minimum purchase of 300 and 2 Magnum Gold Bars for only 100 pesos starting February 17.